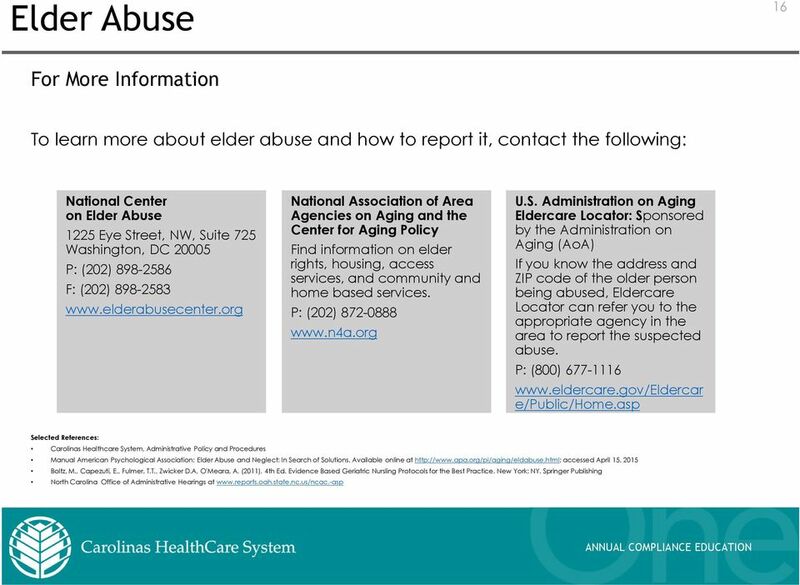 Download "Elder Abuse. Annual Compliance Education. 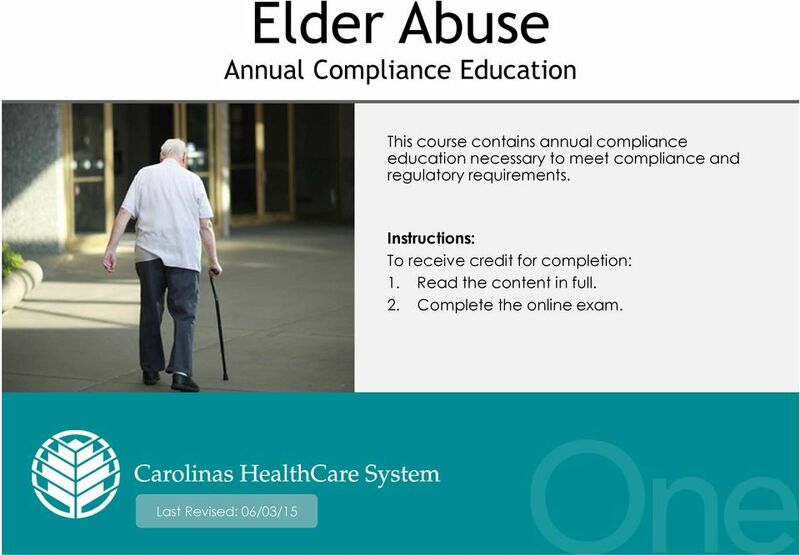 This course contains annual compliance education necessary to meet compliance and regulatory requirements." 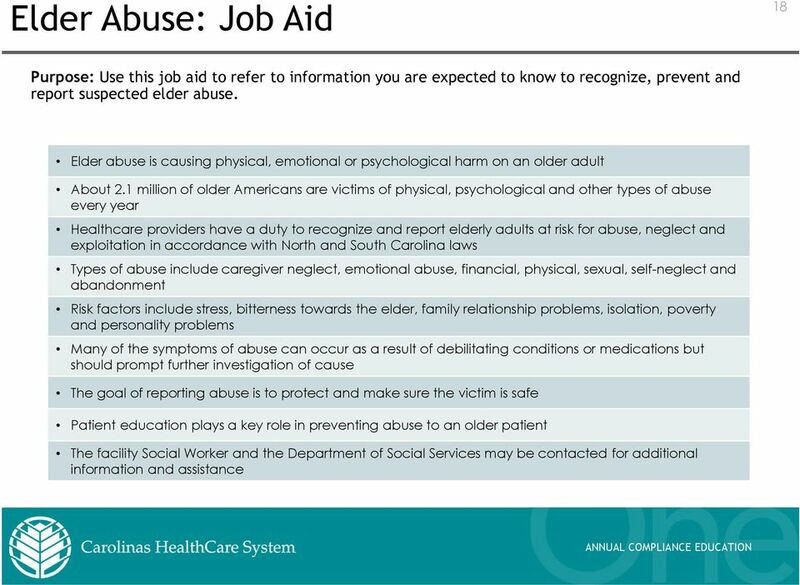 4 4 Facts about Elder Abuse In the United States, the number of people age 60 and older is growing fast. 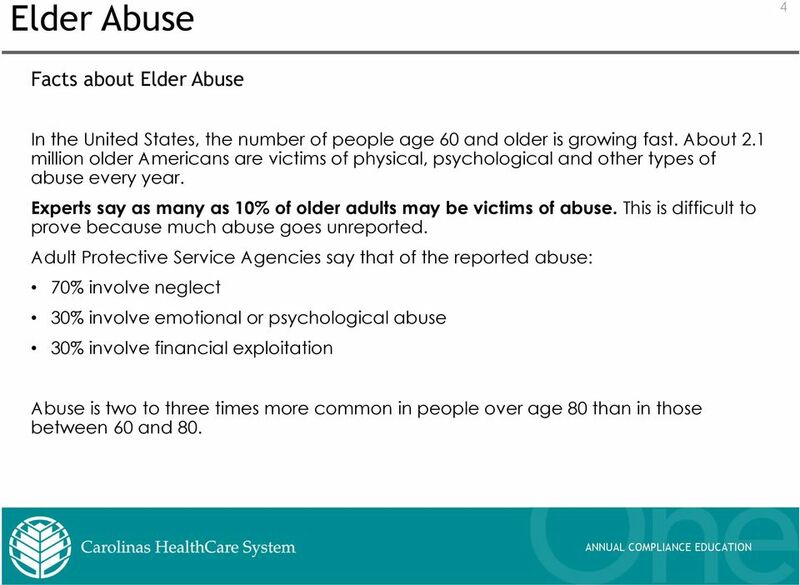 About 2.1 million older Americans are victims of physical, psychological and other types of abuse every year. 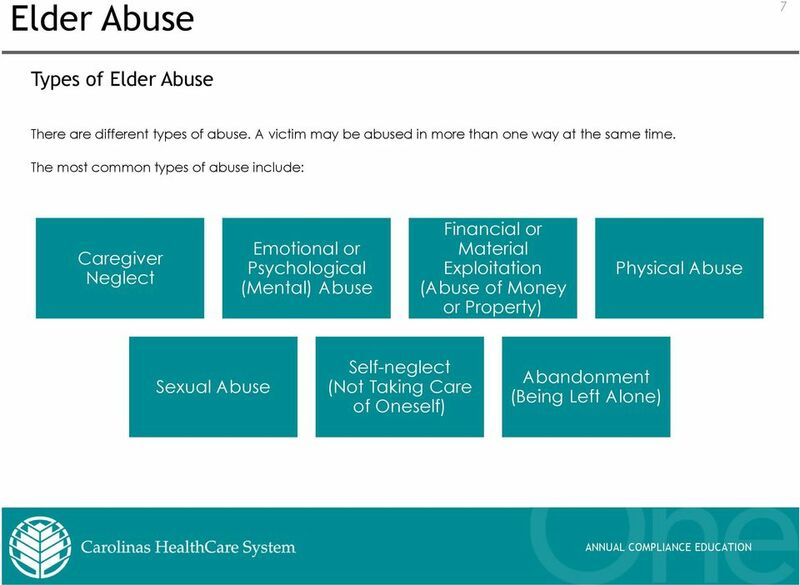 Experts say as many as 10% of older adults may be victims of abuse. 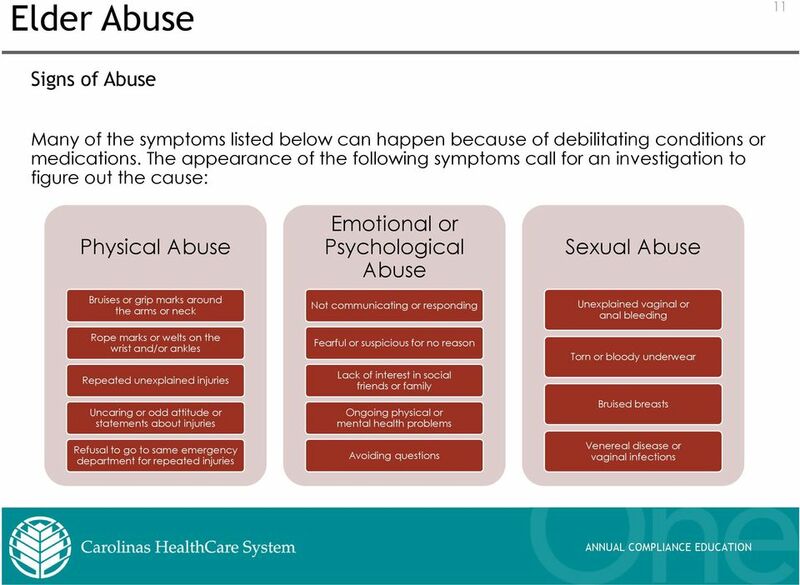 This is difficult to prove because much abuse goes unreported. 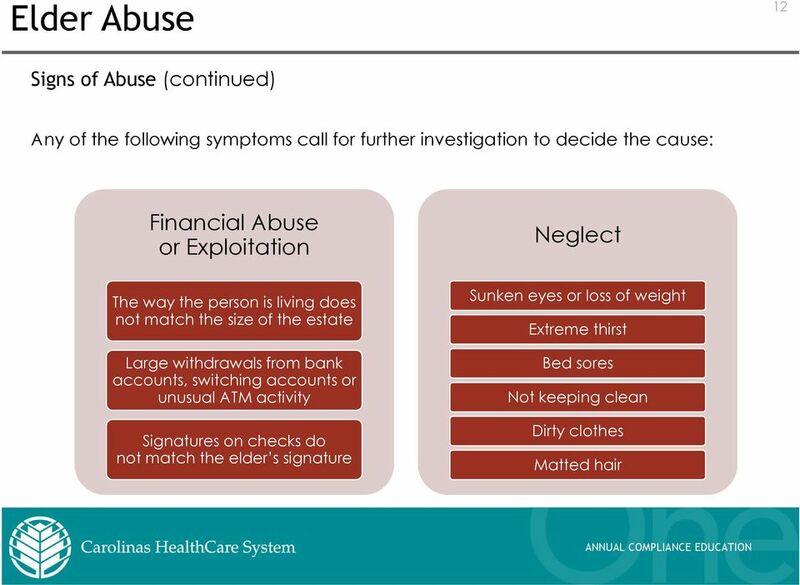 Adult Protective Service Agencies say that of the reported abuse: 70% involve neglect 30% involve emotional or psychological abuse 30% involve financial exploitation Abuse is two to three times more common in people over age 80 than in those between 60 and 80. 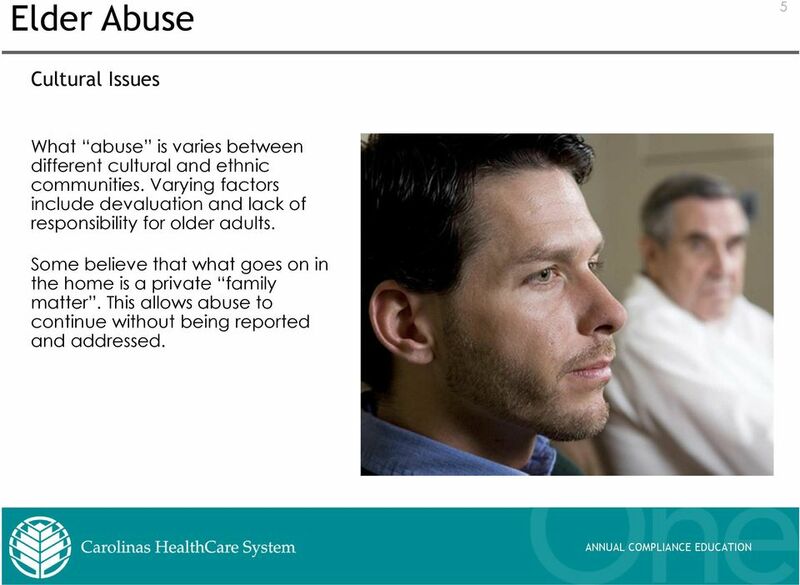 5 5 Cultural Issues What abuse is varies between different cultural and ethnic communities. 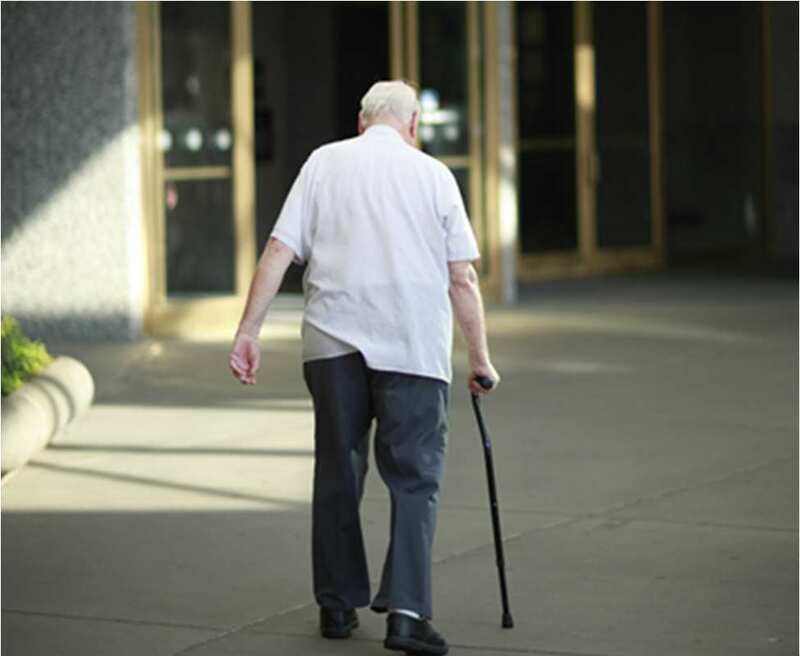 Varying factors include devaluation and lack of responsibility for older adults. Some believe that what goes on in the home is a private family matter. 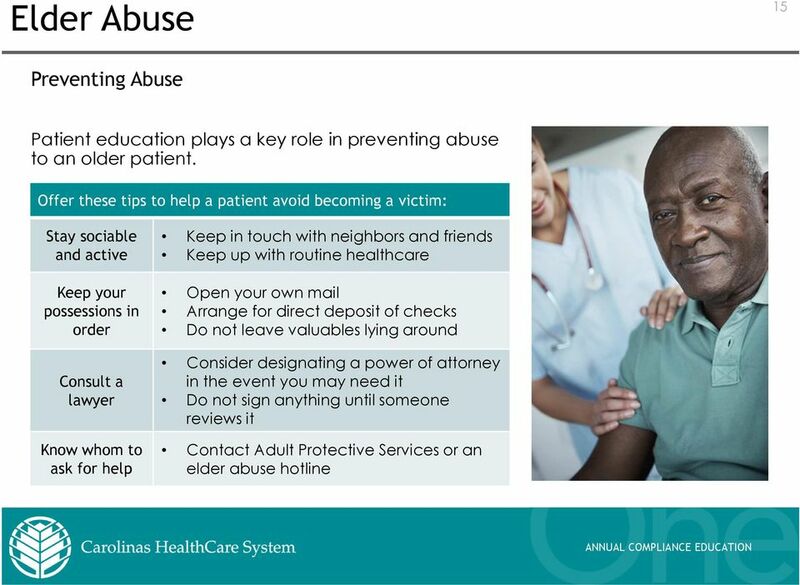 This allows abuse to continue without being reported and addressed. 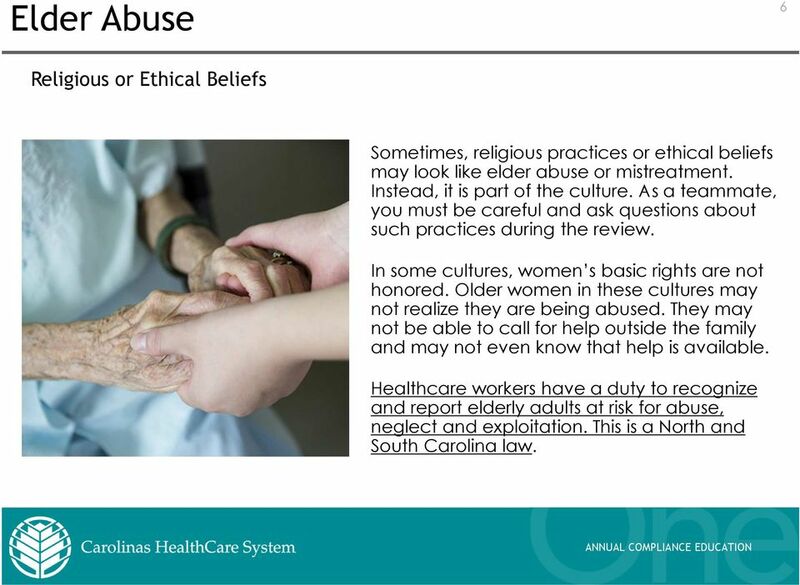 6 6 Religious or Ethical Beliefs Sometimes, religious practices or ethical beliefs may look like elder abuse or mistreatment. Instead, it is part of the culture. As a teammate, you must be careful and ask questions about such practices during the review. In some cultures, women s basic rights are not honored. 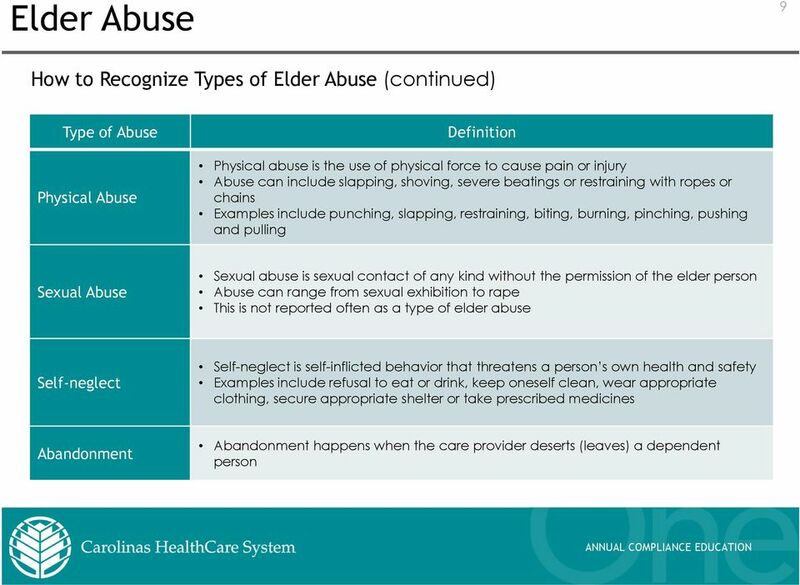 Older women in these cultures may not realize they are being abused. 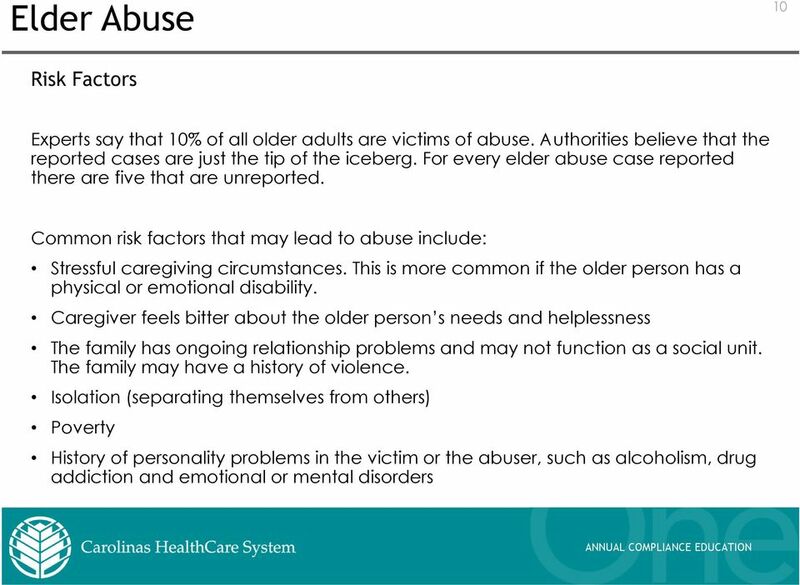 They may not be able to call for help outside the family and may not even know that help is available. 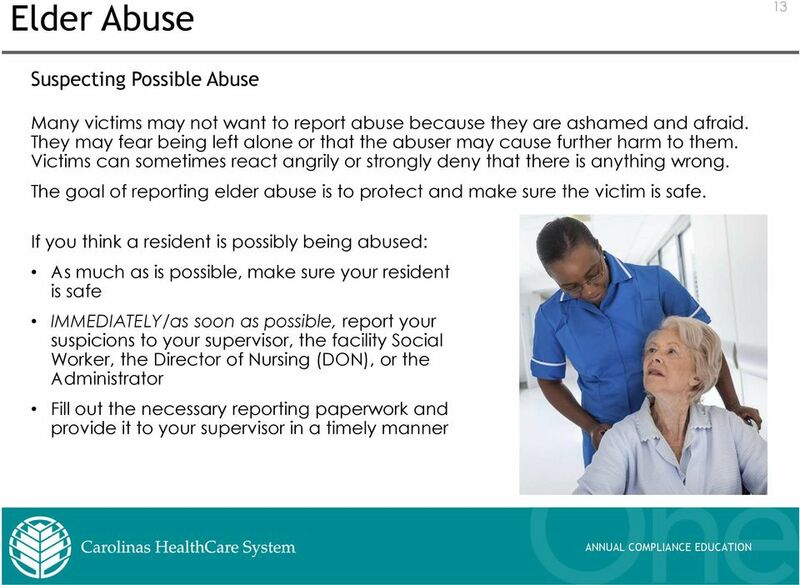 Healthcare workers have a duty to recognize and report elderly adults at risk for abuse, neglect and exploitation. This is a North and South Carolina law. 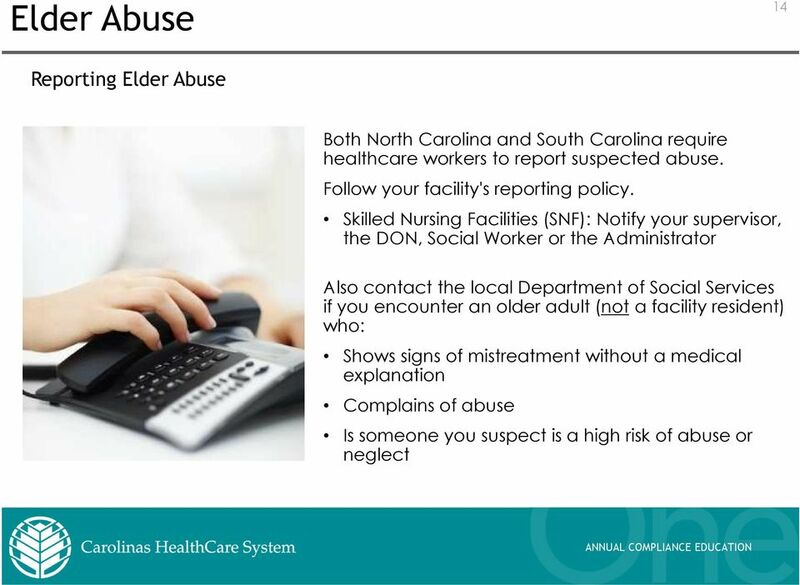 Elder Abuse & Elderly Protective Services Q. 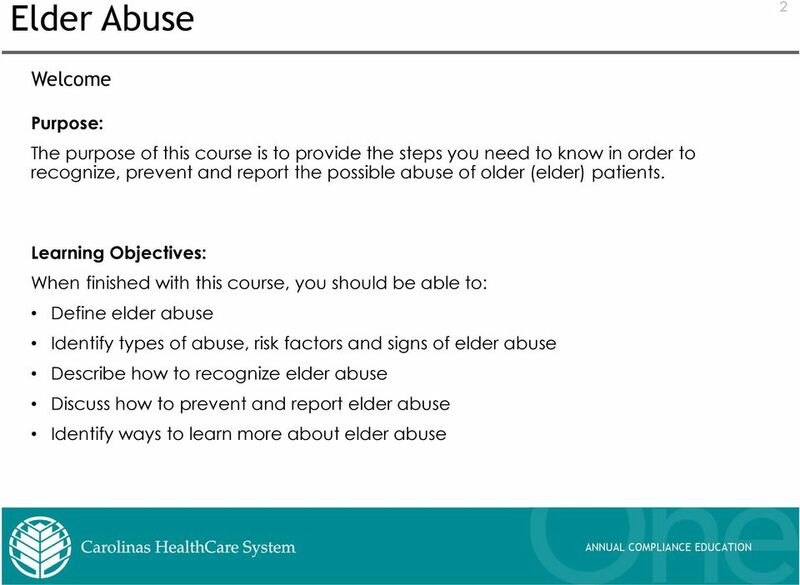 What is Elder Abuse? A. Louisiana law R.S. 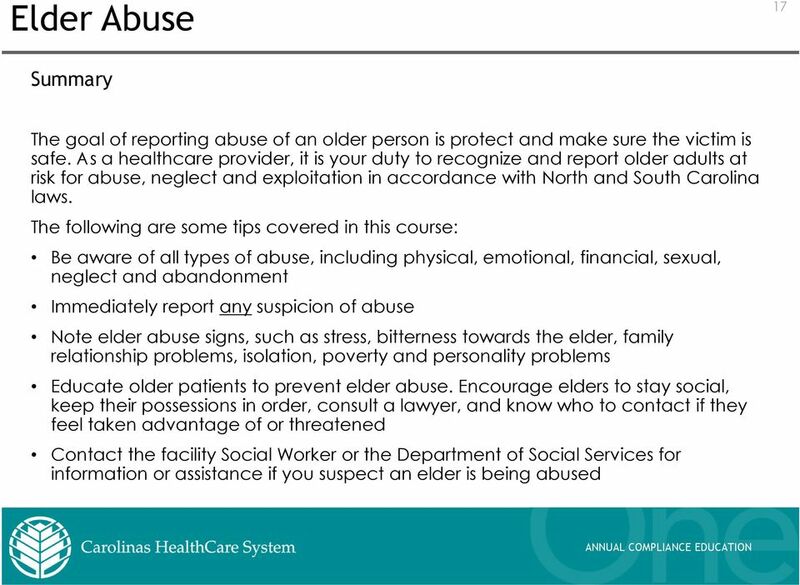 15:1501-1511 protects people who are 60 or older from physical or emotional abuse as well as neglect by care givers. 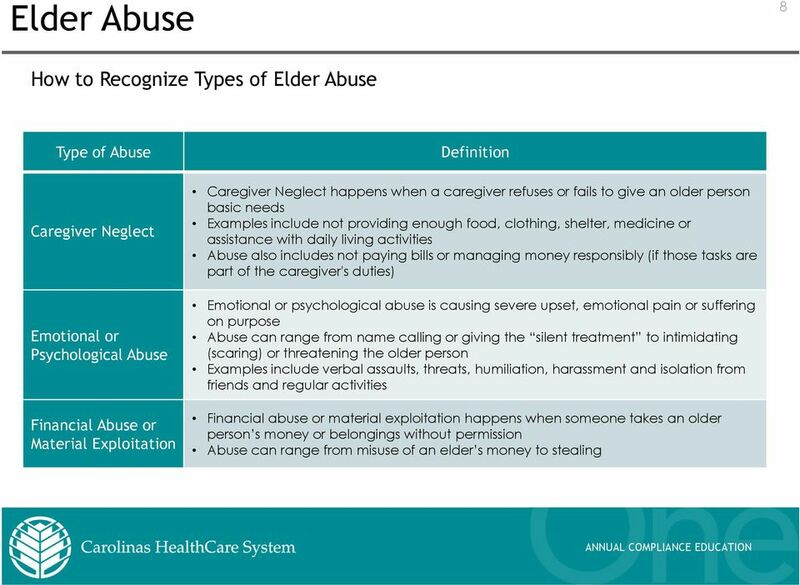 WHAT IS ELDER ABUSE? 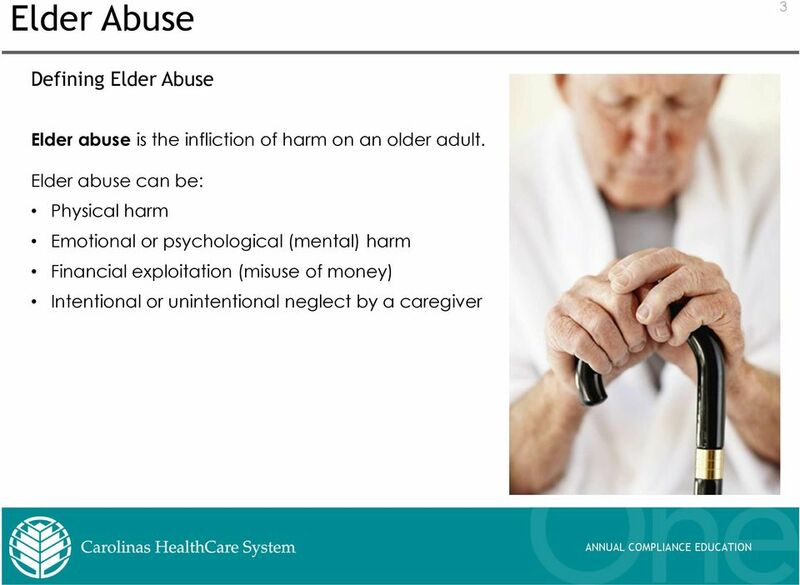 Elder Abuse is the abuse, exploitation or self-neglect of a senior citizen. Safe and Sound-- An Interview With Terry Fulmer, Ph.D., R.N.